We collect the Personal Data that you provide to us when using the Site. This includes but is not limited to: your name, Serenbe Day Spa user identification and login credentials, address, phone number, email address, hotel name, hotel location, and/or length of stay. We may request that you provide information on your travel preferences, airline frequent flyer membership, as well as feedback on your travel experiences. We also collect non-personally identifiable information including but not limited to your internet protocol (IP) address, geographic location, operating system type, nationality, search preferences, as well as other generic Internet usage related data. Your Personal Data may be shared by Serenbe Day Spa to our affiliate companies. Serenbe Day Spa (and/or its affiliate companies) may also disclose your Personal Data to third party service providers, suppliers or agents for one or more of the above purposes.. Third party services include but are not limited to: website hosting, data analysis, marketing, processing credit card transactions, and service provisions. In some cases, when you interact directly with a third party to obtain services, or when you use the Site to reserve a hotel room or obtain another product or service, we may provide your Personal Data to that hotel or other third party so that you don’t have to input information multiple times. Depending on your location, Serenbe Day Spa, its affiliate companies and its third party service providers, suppliers or agents may also be transferring your Personal Data overseas. consent to Serenbe Day Spa and/or Serenbe Day Spa’s affiliate companies transferring your personal data out of Indonesia to other Serenbe Day Spa affiliate companies where such other Serenbe Day Spa affiliate companies are sited, and to Serenbe Day Spa’s (or Serenbe Day Spa’s affiliate companies’) third party service providers, suppliers or agents for the purposes as described above. 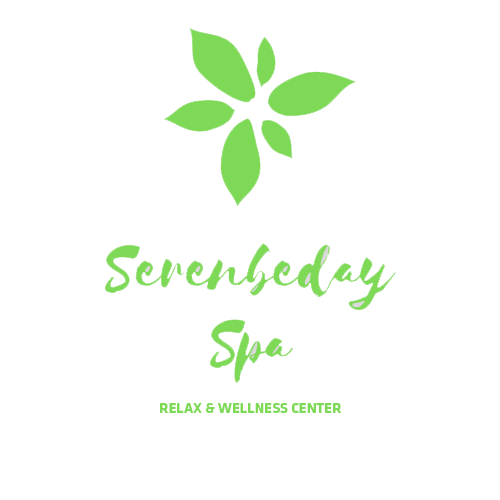 Further, you agree that Serenbe Day Spa is not responsible for any loss or damages that may be suffered by us, you or any third parties, where such loss or damage is caused by inaccurate or incomplete information given by you. After registering, you will receive a password and user identification (“Username”). You are responsible for maintaining the confidentiality of the password and Username, and you are fully responsible for all activities related to the Username or password. You can only use a single Username and password at one time and are not allowed to use more than one Username. Your password is strictly for your own personal use only, and you agree to keep your password strictly confidential. You agree to immediately notify Serenbe Day Spa about unauthorized use of your password or account or any other breach of security. For greater security, please ensure that you logout or exit from your account after each use of this Site. You agree that Serenbe Day Spa will not be liable for any loss or damage suffered by us, you or third parties arising from your failure to comply with this clause. In the event of a change of control or change of ownership of all or part of the Serenbe Day Spa business or company, including the Site, then all Users’ Personal Data may/will be part of the transfer of such assets. For the avoidance of doubt, for the exceptions where the law permits an organisation such as Serenbe Day Spa to collect, use or disclose your personal data without your consent, such permission granted by the law shall continue to apply.